Be the first to share your favorite memory, photo or story of Ary. This memorial page is dedicated for family, friends and future generations to celebrate the life of their loved one. 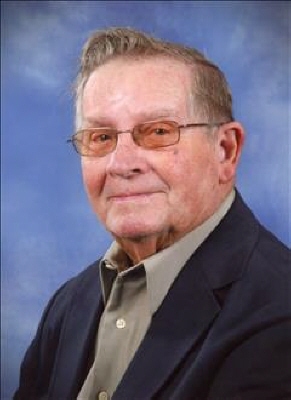 Ary "Bud" Lynn Sell, 85 year old Woodward resident, died Wednesday, April 10, 2019 in Woodward. Private family memorial will be held at a later date. Ary (Bud) Lynn Sell was born on October 9, 1933 in Higgins, Texas to Jake and Beryl Dexter (Neighbors) Sell. He grew up in Higgins, Texas and graduated from Higgins High School. In 1953 he was united in marriage to Margaret Sutherland in Clovis, New Mexico. The two made there first home in Higgins and were blessed with two children, Greg and Diana. In 2000 Ary and Margaret moved to south Texas where they enjoyed the warm weather and good friendships. Ary worked for the Santa Fe Railroad Company, a car lot, a pawn shop, Fort Supply Lake patrol officer and owned a service station. He enjoyed fishing, hunting, boating water sports, trap shooting, and spend time with his family. Ary was a member of the First United Methodist Church and an avid outdoors man. His biggest enjoyment in life was camping at Fort Supply, traveling in a motorhome, trap shooting, visiting other states, and living in south Texas. He is survived by his wife of 66 years, Margaret; sons, Greg Sell and wife Susan, Stewart Sell; daughter, Diana Fleske;sister, seven grandchildren: Rodney Erwin and wife Suzanne, Alisha Guerra and husband Rick, Jennifer Leiker and husband Anthony, Jedidiah Fleske and wife Danielle, Jannell Carr, Allyson Scott and husband Kelby, Jessica Sell; sister in law, Ann Borrow; and nine great grandchildren. Ary was preceded in death by his parent; brother, Darrell Sell; and sister, Berylene Kutchenske. To send flowers or a remembrance gift to the family of Ary Lynn Sell, please visit our Tribute Store. "Email Address" would like to share the life celebration of Ary Lynn Sell. Click on the "link" to go to share a favorite memory or leave a condolence message for the family.